A dental sealant is a protective coating that is place on pits and grooves of permanent chewing teeth (molars) where the toothbrush cannot reach. Dental sealants make the tooth a smoother surface to help prevent food from getting trapped inside the tooth, which will ultimately help prevent cavities from developing. The dental sealants are typically clear or white in color. Dental sealants typically last between three to five years. At your child’s cleaning appointments, our doctors will evaluate whether your child is a candidate for dental sealants, and will also evaluate whether your child’s dental sealants are still intact. 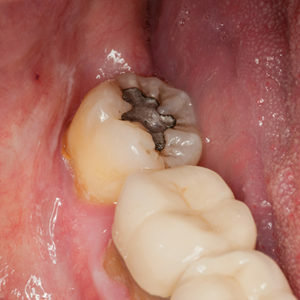 Occasionally, a tooth may need a dental sealant touched up. Most children start receiving dental sealants around the age of 6-7, and another set around the age of 12-13.